We have a brand new featurette for The LEGO Movie 2: The Second Part, which threatens viewers with a song that will get stuck inside of their heads. One of the more memorable parts of the first LEGO movie was the theme song Everything is Awesome by Canadian pop duo Tegan and Sara. The characters in the movie loved the song and it was a great source of joy for them. In this case, the latest dose of pop music to invade the world of LEGO is being used as a form of threat and torture. The featurette showcases Lucy, who has been captured by the sequel’s new villain, who is then subjected to torture by pop music. We then cut to some of the cast members during recording sessions singing the lyrics, “This song’s gonna get stuck inside your head.” It’s blunt and to the point. Though, it doesn’t appear to be an empty threat either, as both Chris Pratt and Alison Brie assure that the lyrics will hold true to their promise. 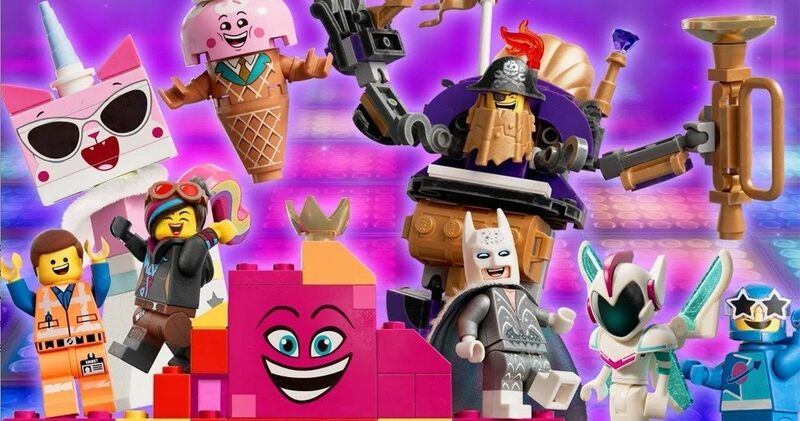 We’ll see plenty of familiar faces and hear quite a few familiar voices, as the cast includes Chris Pratt as Emmet, Elizabeth Banks as Lucy (aka Wyldstyle), Will Arnett as Batman, Alison Brie as Unikitty, Nick Offerman as MetalBeard, and Charlie Day as Benny. They are joined by several newcomers, including Tiffany Haddish as Queen Watevra Wa’Nabi, Stephanie Beatriz as General Mayhem and by former SNL star Maya Rudolph, whose role has yet to be disclosed. DC fans also have a lot to look forward to, as Jason Momoa will reprise his role as Aquaman, with Gal Gadot voicing Wonder Woman. The LEGO Movie 2: The Second Part comes from director Mike Mitchell (Shrek Ever After, Trolls, Sky High). Dan Lin, Jinko Gotoh and Roy Lee serve as producers alongside Phil Lord, Christopher Miller, who directed the first installment. The screenplay comes from Phil Lord and Christopher Miller, working from a story they cooked up alongside Matthew Fogel. Trisha Gum serves as the animation director. Executive producers include Jill Wilfert, Keith Malone, Matthew Ashton, Chris McKay, Zareh Nalbandian, Ryan Halprin, Will Allegra, and Chris Leahy. The soundtrack comes from Devo rocker Mark Mothersbaugh (Thor: Ragnarok). Early box office tracking has the sequel bringing in around $55 million on its opening weekend. That is well below what The LEGO Movie earned when it opened in 2014 to $69 million. Still, that should be more than enough to justify the movie from the studio’s perspective. They’ve enjoyed quite a bit of success with this franchise so far, as The LEGO Batman Movie was also a big hit. The only misfire proved to be The LEGO Ninjago Movie. The LEGO Movie 2: The Second Part is set to arrive in theaters on February 8. Be sure to check out the new featurette from the Warner Bros. Pictures YouTube channel below.